In Nicaragua, talks have opened between the administration of President Daniel Ortega and protestors who, for the past month, have taken to the streets of Managua to call for the removal of Ortega and his wife, Vice-President Rosario Murrillo. The talks, mediated by Cardinal Leopoldo Brenes of the Catholic Church in Nicaragua and held at a seminary in Managua, are designed to diffuse the tension between the government and opposition groups following the death of approximately 65 protestors. The talks, in a bid for transparency, are being broadcast live on television. The protests began just over three weeks ago in response to proposed reform of Nicaragua’s social security system and the beleaguered Instituto Nicaragüense de Seguridad Social (INSS). The reforms imposed a five per cent tax on old age and disability pensions, which the government defended as needed to address the fiscal mismanagement of INSS. Protests, led by student groups, soon erupted in Managua and by the first weekend, ten protestors lay dead at the hands of police. The protests soon evolved into a general clarion call for an end to Ortega’s eleven-year rule. The intensity of the protests eventually forced Ortega to pull back on his proposed social security reform and to approach the Catholic Church to intercede. The televised talks did not begin well for Ortega however. Hundreds chanted “Killer” as Ortega arrived at the seminary and once the talks actually began, a student leader interrupted Ortega and began reading out the names of all of those who had been killed by police. And even though the talks were aimed at reducing the number of clashes between protestors and the police, hundreds still gathered at the Universidad Centroamericana. Daniel Ortega, previously President of Nicaragua from 1985 to 1990 and a former member of the leftist revolutionary Junta Provisional de Reconstucción Ncaional that overthrew the Somaza dictatorship in 1979, re-gained office in 2006 and has adopted both a more socially conservative and business friendly stance. As he tightened his grip on power, Ortega has been frequently compared to the Maduro regime in Venezuela and he has been accused of adopting tactics straight out of the playbook of electoral or competitive authoritarians, a coin termed by Steven Levitsky and Lucan Way in a seminal paper back in 2002. 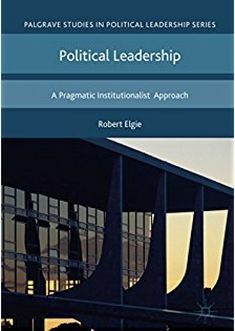 These are regimes that they describe as a ‘diminished form of authoritarianism’ and involve the reform of political institutions to centralize power and distort the electoral arena in order to stack the deck in favor of the incumbent. For example, in 2009, Ortega sought to alter the constitution to allow him run for a third term. At the time, Ortega and the Sandinistas lacked the necessary 60 per cent majority in the Assembly and so were forced to turn to the Supreme Court, which overturned the constitutional ban on consecutive re-election, thereby enabling him to return to power in 2011. In 2013, he sought reform of 39 articles in the constitution, the most significant of which abolished presidential term limits; altered the election of the president; and increased presidential power. Specifically, the proposal changed article 147, and removed the prohibition on consecutive presidential terms and the previous, two-term limit. And in December 2016, Ortega, with his wife Rosario Murillo as his running mate, won the presidential election with 72 per cent of the vote. Critics alleged that this huge electoral victory was due to manipulation of the political playing field, which, with just five months to go before the election, saw the Supreme Court rule that Eduardo Montealegre, the leader of one of the main opposition parties, the Partido Liberal Independiente, was no longer allowed to remain in that role. Ortega’s administration is not the first Latin American government (democratic or otherwise) to face wide-ranging protests. Protests, and the wide-scale deaths of protestors, have also rocked Venezuela and the government of Nicolás Maduro and Maduro remains in power, albeit after tightening his authoritarian grip. Large sustained street protests nonetheless have acted as the trigger for a number of presidential impeachments and forced resignations in Latin America. So is Ortega in trouble? Presidential instability in Latin America appears to lie at the intersection of popular protest and vanishing partisan support in the and even in the face of mass protests, presidents who can boast secure support in the assembly, a ‘legislative shield,’ become very difficult to remove from office. Given Ortega’s grip on the political institutions in Nicaragua, this means he can probably weather an amount of further unrest. At least for a while. This entry was posted in Latin America, Nicaragua and tagged Daniel Ortega, Protests, Sandanistas on May 18, 2018 by David Doyle.